Happy Thanksgiving! I was scheduled to go to work today. And, I was a little bummed that I wouldn’t have time to make a traditional Thanksgiving meal for my family. But, I did some last minute grocery shopping and picked up a turkey breast that I could put in the crockpot before leaving the house. I also picked up some items for side dishes that I could quickly put together for dinner when I got home. To my surprise, I woke up this morning and found my pager buzzing a message that my support was no longer needed and I did not have to go into work. I just had to be available for on call. I did make a couple regular desserts for my husband and kids as well as a sugar free cherry cobbler for me. 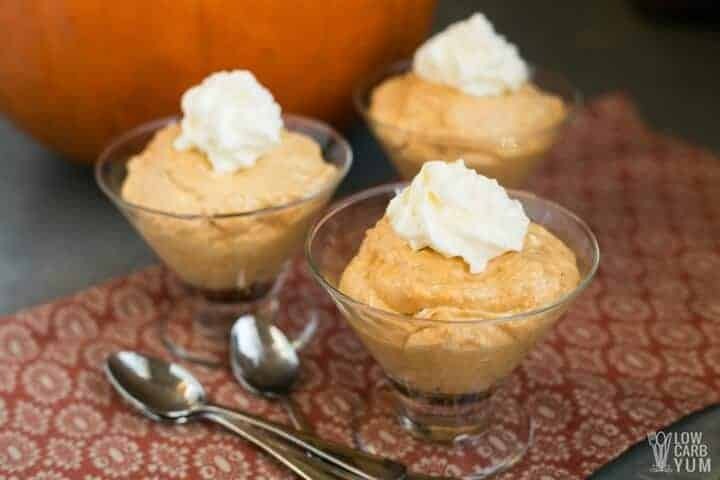 However, I’ve been craving some pumpkin so I decided to whip up a quick pumpkin mousse this morning. 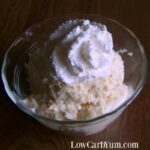 Because it’s such an easy recipe, it didn’t take long to make this low carb dessert. 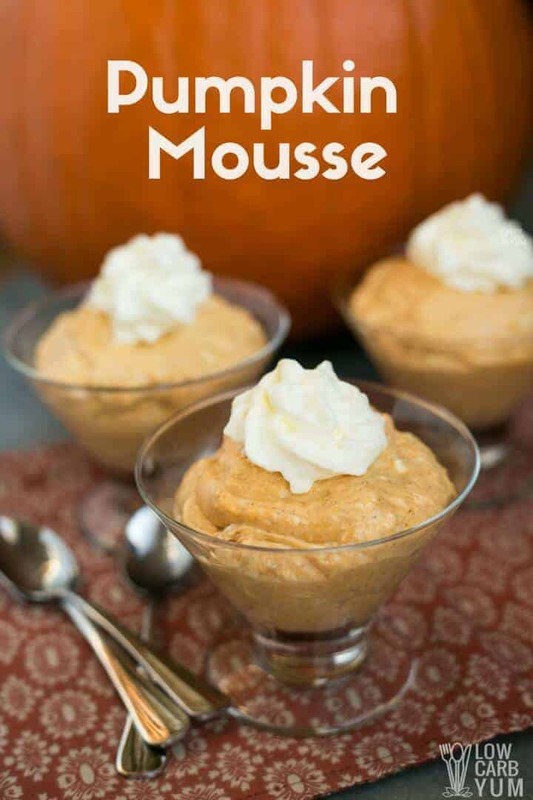 Like most mousse, it’s non-bake and whips up with an electric mixer. 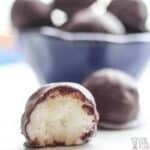 You can easily make this treat from start to finish in less than five minutes. 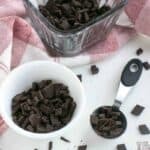 For the sweetener, you can use any low carb sugar replacement that you prefer. I used Truvia because it’s easy to find in local markets. It’s a sweetener made from stevia and erythritol. 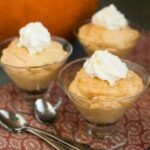 You could use this low carb pumpkin mousse recipe for making a pie as well. 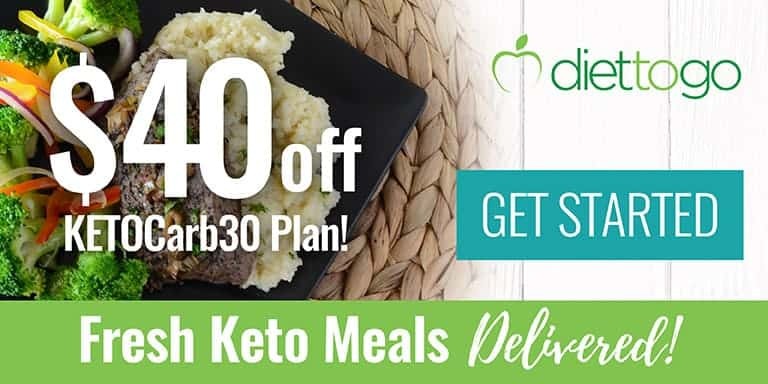 Just spread it out into your favorite low carb pie crust. 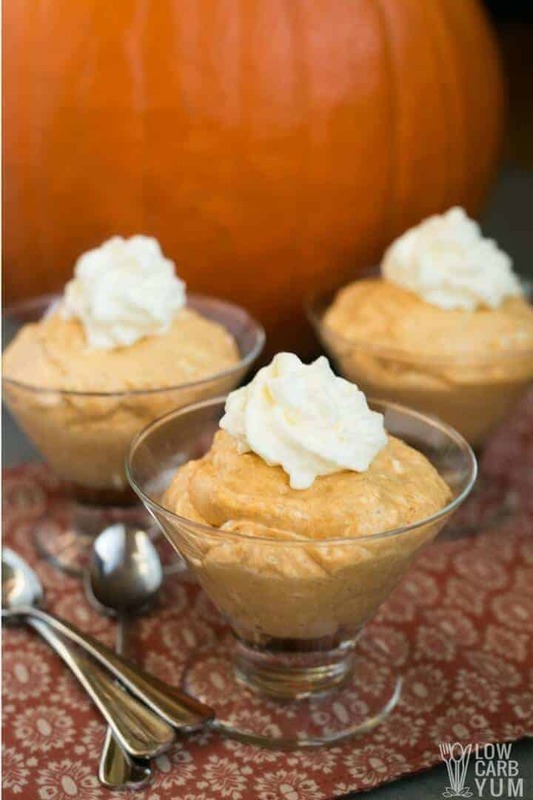 It would also make a delicious no-bake pumpkin cheesecake pie. 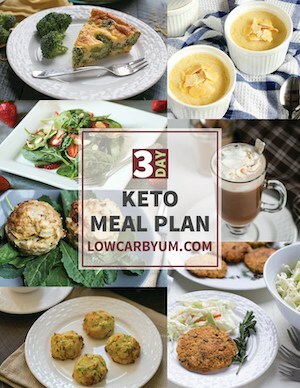 I’m going to try that next time as I’m always searching for super easy holiday low carb pie recipes. 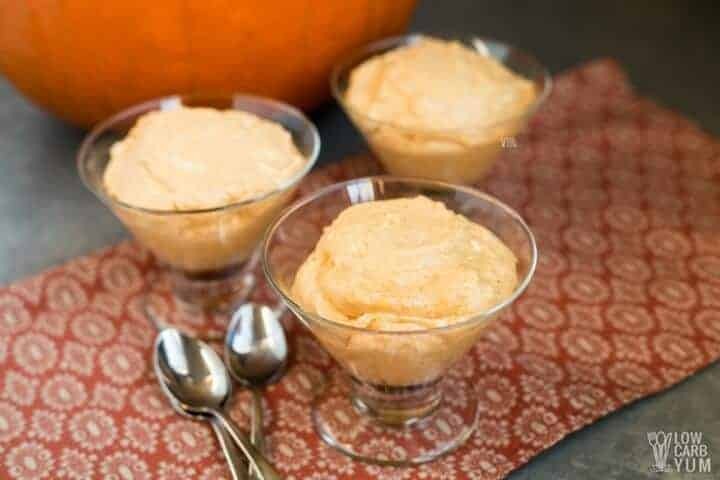 A quick to make sugar free pumpkin cheesecake mousse. 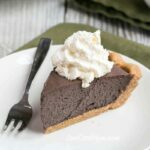 Serve as is or add to a low carb pie crust to make a tasty no bake pie. Sprinkle gelatin over 1 Tablespoon cold water in small bowl to soften. Pour in 2 Tablespoons boiling water and stir until gelatin is completely dissolved. 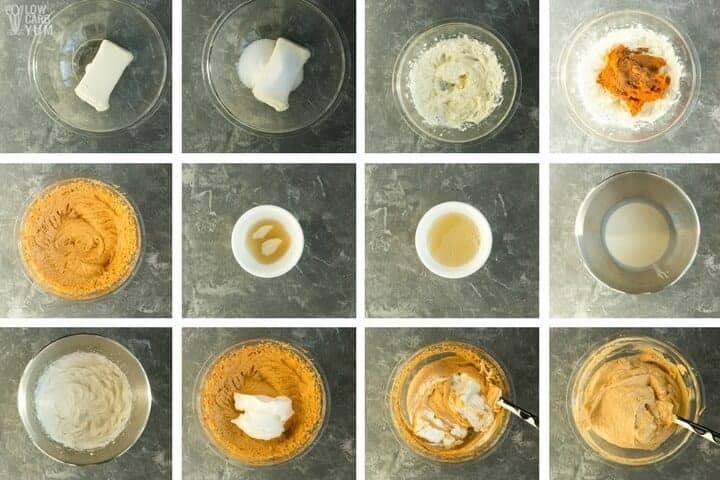 Mix cream cheese with sweetener until well blended. 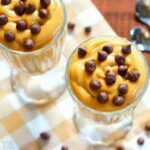 Blend in pumpkin pie spice and pumpkin until well combined. Gradually stir in gelatin until well blended. 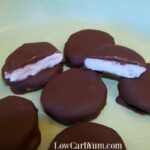 Fold in whipped cream then beat until fluffy. 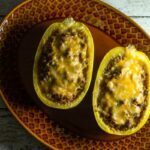 Spoon into individual serving dishes. Chill at least 1 hour. Gelatin and water are used only to stabilize the mousse. They can be left out if desired. 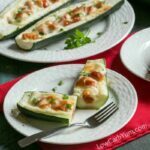 Looks wonderful, but It’s hard to log low carb food on apps if the serving size is not added to recipe. 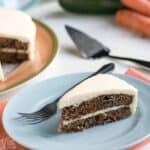 Do you know the serving size? I divide it into 8 serving dishes which is about a cup each. I made this today and I did something wrong. I’ve never worked with gelatin before and when I added the dissolved gelatin to the mixture, it turned into little balls of gelatin. What did I do wrong? You have to dissolve the gelatin first in a small amount of hot water or a hot mixture. The gelatin needs to be completely dissolved before slowly streaming blending into the mix with the electric mixer on. I just found your blog from Carolyn’s blog links. Cool. I think I have seen it before but at the time, it did not look like it was active. I will link to your blog from mine. Lovely recipes, Lisa! Thanks Jennifer! Just received the Low-Carbing Among Friends cookbook and can’t wait to try some of your recipes. I don’t have as much time for the blog as I used to, but I try to update a few times a month. This is about 3/4 cup of sugar. I have updated the recipe to reflect this.